2 1/2 STREETS TO THE BEACH ! 3 bedroom, 2 bath, 2 1/2 Streets to the beach. Walk to Hyannis Center, shops, restaurants, carousel, miniature golf, fishing boats & ferries to Martha's Vineyard & Nantucket, Kennedy Memorial. Drive to golf, Melody Tent, movies and mall. Air Conditioning, pool table, air hockey/ping pong, high chair, porta-crib, double little tykes wagon and beach chairs, toys, movies, books for all ages. Gas grill, outside 'after-beach' shower, good yard for children, washer/dryer, linens included, dishwasher, telephone, microwave, toaster, coffee maker, dishes/utensils provided, Cable TVs, VCR, DVD players , WIFI. Cleaning people on Wed and Sat. NO SMOKING and NO PETS, PLEASE. Gas Grille, Adirondack furniture, large picnic table and umbrella nice brick patio, tether ball, badminton / volleyball in nice yard, little tykes climbing structure, kiddie pool, Outdoor shower. 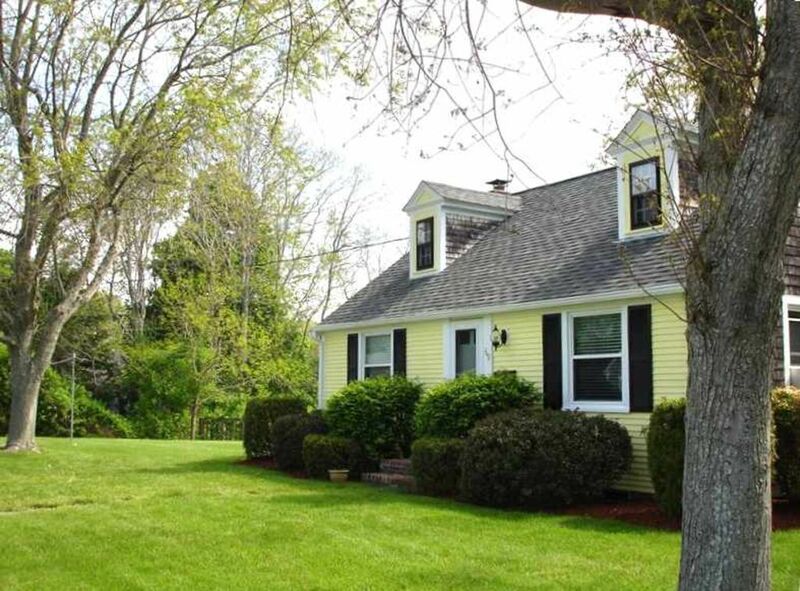 Includes beach pass to 11 Barnstable beaches. Washer and dryer, pool table converts to ping pong and air hockey, foosball, beach chairs, beach towels, coolers, boom box for the beach, children's toys, wagon for two, books, includes all paper products, laundry detergent, soap and baby shampoo. Air Conditioning, TV and VCR in every room. Porta-crib and high chair. Everything you might think of needing in the kitchen. bathroom upstairs 1 downstairs. Upstairs large room with Juliet balcony, Queen poster bed and trundle. 2 Bedrooms on 1st floor - one with twin beds, one with a Queen bed. Cleaning people come on Wednesday and Saturday. 2 Full bathrooms PLUS OUTDOOR SHOWER for after the beach. 2 1/2 Streets easy walk. Take the cart for the chairs. 3 Beaches Keyes Beach Kalmus Beach Kennedy Memorial All near by. Beach pass if you wantto bring the car to carry stuff. Easy Wall Everywhere you would want to go! Down the street and around the corner to the beach. About 1 mile to the town and the best restaurants. Less than a mile to the Harbor - take the Ferry to Nantucket or the Vineyard. The house has everything you would need including AC, maid service , high speed internet, Beach toys, chairs and a great yard for the kids! All toddler and kid toys are there!